Evidently, he was Meisner’s confident even prior to this point; presumably in the lead up to the dubia. Pope Benedict might just as well have spoken in Navajo code. Our shepherds hear but do not comprehend. They do not comprehend because they seemingly have lost their Faith. Nothing in this big, welcoming, accompanying, non-rigid, non-doctrinal world could possibly be cause for concern. Bergoglio did get one thing right in the last four years. Most clerics and prelates only seem to care about “three hots and a cot”, pensions, and their “careers” as opposed to fulfilling the sacramental vocations to the priesthood & episcopate. Funny in a twisted kind of way, isn’t it? Sad, indeed. When PB partially abdicated he said he had a mystic experience but didn’t explain what exactly he meant by that. Did God actually direct him to stand aside for PF to be installed in the Papal Office thus instituting a dual papacy? Did He also insist PB keep the papal regalia? Is He also protecting his telecommunications from being tapped? By this stage I believe most Catholics recognize that PB is a virtual prisoner in the Vatican as those in charge want to keep a tight grip on him. His proclamation that “The Church stands in particular pressing need of convincing shepherds who can resist the dictatorship of the spirit of the age and who live and think the faith with determination” is welcome but extremely late, as practically all members of the present Hierarchy are wolves in shepherds clothing. Our main hope in getting rid of PF was stymied by the now defunct Prefect of the CDF. Maybe PB’s Memoirs, which undoubtedly are stashed away somewhere safe, could be quickly resurrected & published. Once in the public domain this present pontiff might just decide to take the first flight out of Rome to Argentina & join the other Peronists drinking mate & let the restoration of the True Faith (which he doesn’t believe in) grow in strength & depth which Christ intended it to. He’s yesterday’s man, no follower of Christ & well beyond his ‘sell by’ date. So are his Cabinet of liberal & free thinkers, cocaine snorting sodomites hanging out in the once hallowed place called the Vatican. Benedict is one of the makers of the pit that he is trapped in, Vatican II. Benedict is trapped in the prison he made, Vatican ll. I do not believe Bergoglio’s papal election is valid- nor do I believe Benedict’s resignation is valid. The cardinals violated UDG- something that even the Dubia Cardinals will not admit (at least not publicly). Benedict’s resignation is invalid as it was coerced. I still believe Benedict is the pope. Perhaps Benedict will say such on his death bed with many witnesses around. I am seeing many people on numerous blog sites (even OnePeterFive) who say the same thing. I also believe that the post conciliar fake church cannot be reconciled with pre-Vatican II Magisterial teaching (Sacred Scripture, Sacred Tradition, and the Traditional Latin Mass verses the Novus Ordo Mass). The SSPX is right. If you cannot find a TLM to attend, then look for any Catholic Eastern rite Liturgy. Cardinals Burke and Sarah (and any other cardinals who have eyes to see and ears to hear) must admit that Vatican II is a complete disaster along with the Novus Ordo. In doing so, they will finally recognize the lie the entire Church has embraced over the last fifty plus years. They will also have to admit that Archbishop Marcel Lefevre of the SSPX was right about everything. The Third Great Schism is upon us. May God have mercy on His One, Holy, Catholic, and Apostolic Church! Mary, Mother of God, Our Lady of Fatima- PRAY FOR US! I COMPLETELY AGREE WITH YOU, AL. THE EVIDENCE IS SO COMPELLING as to leave no doubt whatsoever. The 3RD. 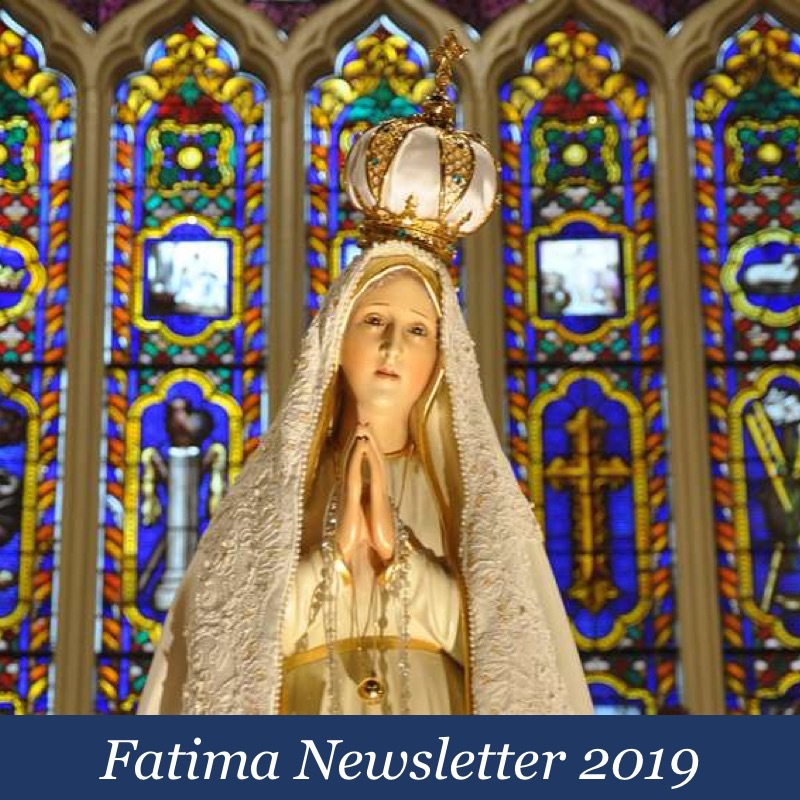 SECRET of FATIMA is UNFOLDING in front of our eyes. QUITO, LOURDES, FATIMA and AKITA are happening right now in FULL STRENGTH, beginning in 1960. Now the BLIND ARE LEADING THE BLIND straight to HELL. APOSTASY in the MAKING. And Jesus said, ” When I return to earth, shall I find FAITH ?” , Luke 18,8. Given that ONLY 15 % of CATHOLICS go to MASS on SUNDAY, and considering that most of these go to the NOVUS ORDO, what can we say about Jesus’ FOREWARNING about our times, now? Al, the SC, do you even read what you write. In one paragraph you say you believe B16 is still the real pope and in the next paragraph you say the conciliar church is fake. Yet you believe B16 is the real pope of a fake church. That my friend is classic cognitive dissonance. Tom, yes, I read what I wrote. I am not a Sedevacantist. 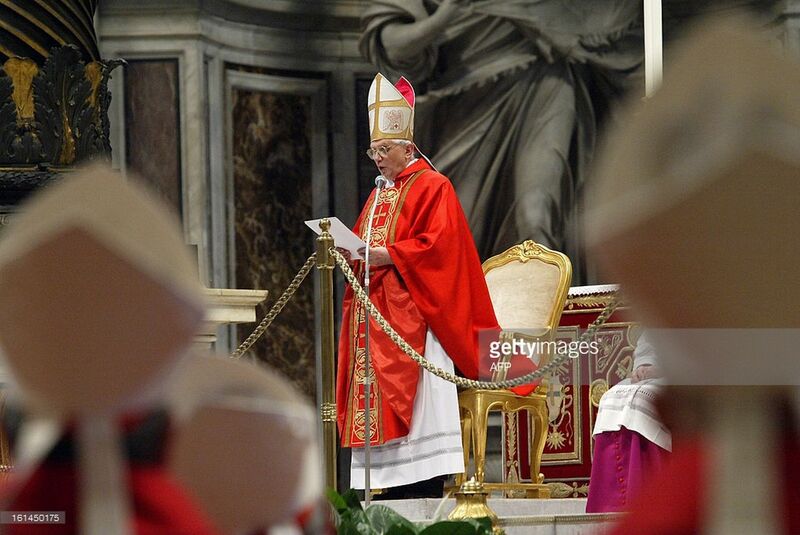 My point is simply that the College of Cardinals violated the conclave protocol laid down by JPII. Thus, I believe, that the conclave that “elected” Bergoglio is invalid (the vote). I also believe that Benedict is a “prisoner” inside the Vatican walls. Benedict is, in my opinion, still the pope as I believe his resignation was coerced by the St. Gallen Mafia. Have a heart, I work 16 hours day right now! Yet you take your precious off hours to follow this hot mess of a situation. God bless you for your faithfulness. May you win Powerball soon. Ok I can understand the reasoning behind the whole forced abdication. There is merit to that reasoning. Its the fake church aspect that makes me scratch my head. Is it a fake church or a real church? Well, the current post-VII conciliar church seems like a parallel pseudo-church. Certainly, elements of the Catholic Church subsist within the “fake” church along side of Catholic Church (sorry about using the word “subsist” as the VII documents also use, but I don’t know how else to put it). Tom, it’s going to take a future Council/pope to sort all of this out. I wish I had all the answers, but I don’t. And, my friend, the fact that I don’t greatly bothers me. And we deserve this, and God allows this. Adveniat regnum tuum, fiat voluntas tua. So many posters still hang on to the hope that the ship will be righted again. Faithfulness to orthodoxy will return to Rome. The evils and errors of the “new mass” will be rejected and the truth of the traditional Mass will be recognized universally again. So many keep thinking the Church will be fixed. All the while we have faithfulness to doctrine. Recognition of Christ as King. The Mass of the Ages continues the sacrifice of more than 2,000 years. It just ISN’T where most folks think it is. They confuse the Church with those who SEEM to flow with continuity from the pre-Vatican II Church. We confuse those who occupy almost all of what have been Catholic offices and real estate with the Church. They no longer are and haven’t been for 50-plus years. Yes, Archbishop Lefebvre was right about everything. He still is, only now it has become obvious against the backdrop of the Great Heretic. 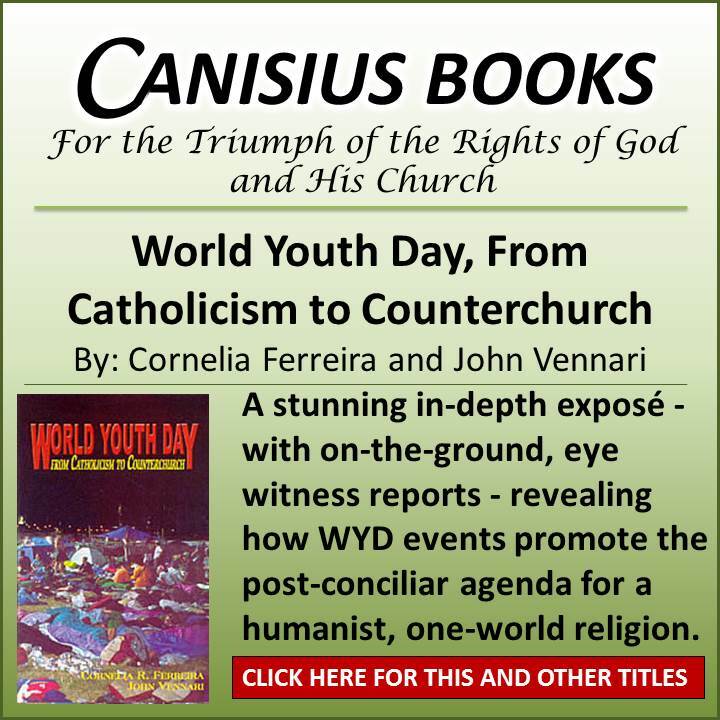 The Church Archbishop Lefebvre helped preserve is still among us and available. Stop wishin’ and hopin’ to save the false, new sect and find the true Church that remains. So you really think John XXIII and JPII are saints, declared so infallibly by true Catholics? Do you think Paul VI will be a saint when they inevitably “canonize” him to validate the new “mass?” We can’t save the “church” because what we’re all hoping will turn around isn’t really the Church anymore. Many are called; few are chosen. Find one of the lifeboats floating away from the sinking ship of the false church and save yourselves…and as many others as you can assist. When I’m at my Latin Mass only 45 minutes from my home, it might as well be a world–and decades–away from the insanity that is mistaken for the Church today. Why do we seem so surprised that so few priests, bishops and cardinals stand up for Christ and His Church? It’s because they are no longer Catholics….if they ever were. “The Church will doubt as Peter doubted”, is such an excellent post that really says it all! “Has Peter’s doubt as to the divinity of Christ in some way managed to infiltrate and infect those who speak in the name of the Church, up to and including Peter’s successor?” Without a doubt! “Make it known to My ministers that given they follow the example of the King of France in delaying the execution of My command, that they will follow him into misfortune…” Our Lord to Sister Lucia at Rianjo, Spain, in 1931. We have all seen this terrifying prophecy unfold for decades. Pope Benedict should know what’s going on, he has read the 3rd Secret. But, this prophecy affects him directly as he is one of the ministers! A Pope Francis would not exist if Pope Benedict had done his duty and fulfilled the simple requests made at Fatima. That can’t happen as long as the culture of the Council rules the day. Logic dictates that something terrible will have to happen to drain the Modernist swamp. PF and his cohorts remind me of prisoners subduing guards and taking over the prison. It’s madness, chaos, as the newly “free” and power-crazed men roam throughout the building, destroying what they can, bullying their weaker enemies, having their energies spent in mayhem. It gets wild, before it gets quiet. They are in full throes right now, but they will run out of steam, even prisoners let loose have to sleep, and sooner or later, something will happen to put them back in their cage and, it’s over. I am not saying this is the answer. Frankly I don’t know anymore what the answer is or if there is one. We know too much about our Bishops and Cardinals now. There’s no going back. The latest hateful attack in Civilta Cattolica should be the final straw. My God, they hate Americans. We must be doing something very right. I have no understanding of this thing with PB. This will sound wrong, I’m sure, but I have to say I hardly care anymore. He abdicated. His thoughts on it all now seem pretty irrelevant. If he did abdicate, he abdicated as the leader of the (false) vatican 2 church. If he was forced to resign, then he was forced to resign as the leader of the (false) vatican 2 church. Six of one and half-dozen of the other. That is how I see it too, Rich. Its all fake. Fake popes for a fake church. “Fideliter: Rather than a question of liturgy, you often say, it is now a question of Faith which stands between us and present- day Rome. Archbishop Lefebvre: Certainly the question of the liturgy and the sacraments is very important but it is not what is most important. What is most important is the question of the Faith. As far as we are concerned, the question is settled. We have the Faith of all time, of the Council of Trent, of the Catechism of St. Pius X, of all the Councils and of all the Popes prior to Vatican II. For years they have striven in Rome to show that everything that was in the Council was perfectly in conformity with Tradition. Now they are taking off the mask. Cardinal Ratzinger had never stated his mind with such clarity. There is no Tradition. There is no longer any Deposit of Faith to transmit. Tradition in the Church is what the Pope today says. You must submit to what the Pope and the Bishops today say. For them that is what tradition is, their famous “living tradition”, the only reason for our being condemned. Now they are no longer seeking to prove that what they say is in conformity with what Pius IX wrote, with what the Council of Trent promulgated. No, that is all over, that is out of date as Cardinal Ratzinger says. It is clear, and they might have said so sooner. It was not worth their getting us into talks and discussions with them. Now we have the tyranny of authority because there is no rule. There can no longer be any reference to the past. The rhetorical cunning of Ratzinger is unmatched, it would seem. He very cleverly affirms the problem at hand, time and again, which he defines and yet he essentially never admonishes the problem nor those responsible for proffering it. He simply states “the problem” very eloquently and then the reader is left to suppose that he is opposed to “the problem”, which he develops in rhetoric, and yet he never states clearly and existentially his oppositional position to said problem. In fact, he simply never condemns the problem nor its purported perpetrators. Joseph Ratzinger without doubt is a Modernist quo Modernist and yet he remains cleverly disguised in his eloquent rhetorical constructions, however, when one carefully reads his literary work over time, it is patently clear that his foundation in thinking is evolutionary relativism. See the critical and extensive Thomistic analysis of Joseph Ratzinger, using Ratzinger’s own works, by James Larson here: http://www.waragainstbeing.com/parti-article12. Ratzinger is an apostate to the One True Faith and it would seem that he always has been since his early days as theologian and professor. He is a wolf dressed in the clothing of a sheep. As an apostate to the Faith, outside the One True Church thus, he simply cannot be the Holy Roman Pontiff. It takes the faith of a child to embrace this reality, as painful as it may be. Quoting you now, to establish an example of the slight-of-hand, which Ratzinger uses rhetorically. “Again, let us be certain that Benedict has chosen his words very carefully. What he accomplishes here is to define “the problem” as, “Relativism”, which he then describes in detail and in the midst of that discussion he literally stakes the claim that this “Relativism”, as he stated, “…seems the only attitude that can cope with modern times.” He is affirming “Relativism” as “…seems [to be] the only attitude that can cope with modern times.” And after stating all that, he never condemns any of it. This is classic Ratzinger speak. Ratzinger here, with the most perspicacious cunning, says, “…the Son of God, the true man…”. The object of which he speaks in this sentence is a, “different goal”, and then he defines that goal as, “…the Son of God, the true man…”. He never proclaims “the Son of God”, as God, rather simply as “the true man”. The Catholic way of unequivocally speaking of Jesus the Christ’s dual natures is to clearly state them: True God and True Man–two intellects, two wills, one divine Essence. He speaks of Christ as “…the Son of God” but not “as God” in the divine Person of the Son. This is the classic casuistry of the Gnostic Sect which Joseph Ratzinger was the pope of and not the One, Holy, Catholic, and Apostolic Church, which he undermined in his language his entire clerical career. His is the smiley face of Lucifer, while Jorge Bergoglio is the jingoistic face of the apostate, conciliar church, which can only remain as the church of the Antichrist, as Our Lady of LaSalette promised, “Rome will lose the faith and become the seat of the Antichrist. I pray this helps. In caritas. Spot on In caritas. The Late Fr Villa , had Ratzinger sorted. Once his publishing in one of his speeches or perhaps a book Ratzinger’s “denial of the divinity of Christ” it was only a matter of time before left the stage – exit left; On top of that was the allegations against him of taking part in child sacrifice in France in some chateau, as the witness described to the European Commission investigating these outrages. The son of destruction is running rampant in our days, dishing out salvation to the ignorant and unbaptised, now it seems- while limp clergy hide in silence. The Apostasy St Nilus spoke of in the 5th century, has now come to pass. It’s unseemly for you to bring up such tripe–allegations of Benedict being involved in child sacrifice in a chateaux in France. Cite your sources! I never realized such fringe elements hung out here. I recommend you read the writings of Rev Fr Villa who was commissioned by Padre Poo to work with Cardinal Ottiavani and Bacci to expose devil worship in the hierarchy. Read how they said a black mass in the Vatican and in Charlotte Sth Carolina simultaneously. Web site chiesa viva. If you have email i will post you these writings. Believe it or not. Confusion! Confusion! Confusion! The devil loves confusion! “Diabolical disorientation” We have been warned. It is Here. It is Now. Are you a bad sede? Pope Boniface VIII in the Bull Una Sanctam clearly interpreted the words of Scripture, “The spiritual man judges all things and he himself is judged by no man” (1 Cor 2:15), as applicable to Popes. And he concluded saying definitively that no one can “judge” a Pope. “To judge,” for Boniface VIII, was not to make a dogmatic or moral appraisal about the thinking or the conduct of a Pope, but rather to attribute to oneself the power of deposing him. Boniface VIII was indirectly dealing with the case of the King of France, Philip the Fair, who pretended he could depose and make Popes. Now, when someone affirms today that the conciliar Popes are not Popes, that person implicitly is attributing to himself that power. Even when, to avoid such arrogance, a person says that the Pope automatically ceases to be Pope and therefore the See is vacant, it seems to me that he does not have the right to conclude “therefore the seat is vacant” because here he directly enters the prohibited zone. Analogously, the Church today is the same Church we have seen in the past glorifying God in her Holy Worship, in her Divine Office, in her Hierarchy and Papacy, in her Religious Orders. She is the Church Who civilized the barbarians and educated the peoples for earth and heaven, who built civilizations of incomparable glory, who destroyed evildoers of all kinds everywhere, who opposed the Devil and his cohorts – Masons, Jews, heretics and schismatics. For the latter reason, she was infiltrated by her enemies and today she is doing what they want her to do. This is not the hour to abandon the Mystical Body of Christ to her enemies and run off to some solitary forest to avoid personal inconveniences. This is the hour to enter the battle with increased vigor, to re-conquer every inch of soil the enemies took and rebuild in that place the same sacred institution more militant, pure and glorious than ever, so that she will be ready to face, under the protection of Our Lady, all other possible enemies until the end times. I agree with your assessment of the sedes, in that they would say of Christ, who, in carrying His Cross,….”This disfigured man cannot be the Son of God.” The sedes seem to believe that the Church cannot suffer a persecution and passion, just as Our Lord did. They seem, to me, to be angry with God for allowing such a thing to happen. I do not, however, agree that we need necessarily place ourselves at the forefront of the battle in the Church (conciliar church). 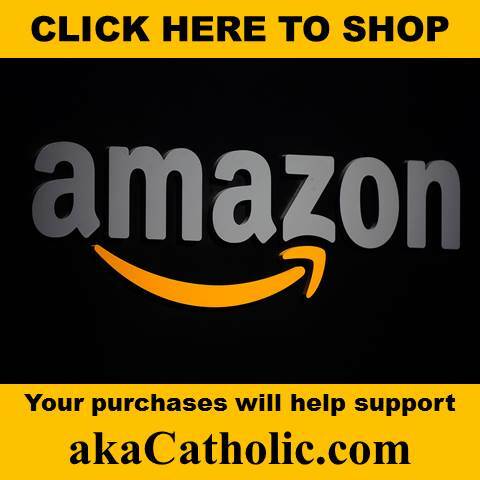 If the conciliar church does not give allowance to practice our Faith in a truly Catholic manner, then it’s acceptable to find a way to practice our faith properly, even if it means attending an SSPX or independent chapel. We must saves our own souls first, and if possible work for the restoration if we are able. Caimbeul–The Adorable Body of Our Lord was battered and disfigured for our sins. What we are witnessing from Francis and the V2 “church” is ugly corruption from within which is persecuting Our Lord’s Church. Please do not equate the two. Yes, it is an ugly corruption from within. And yet God has allowed it, has He not? Do you believe that God could not have stopped the corruption if He wanted to? In that heinous understanding, know with metaphysical certitude Caimbeul, that indeed our Lord and our God, Christ the King, will allow all of it to occur as He sees fit from all eternity, as we imagine the French Revolution anteed up, experienced around the entire globe simultaneously, and with diabolical persistence. God in His infinite love as Love Himself (Deus Caritas Est), simply cannot take one iota of our free will from us and as thus we are left with the looming cataclysmic catastrophe that is continuing to crescendo in our very midst, the likes of which the world has hardly before seen a glimpse of, in any particular place and time. What we are experiencing is Nietzsche’s, “Will to Power” dialectic, in its fullest manifestation, as this culture writ large denies the reality of being, as being finds its only possible genesis in Being Himself, as this Will to Power dialectic is in antithetical opposition to Christ’s Truth to Power reality as Reality Himself. We also know with certitude, as from the lips of our Lord and Savior, Jesus the Christ, Son of the Living God begotten not made, in the Gospel of John, chapter 14; 27: “Peace I leave with you; My peace I give to you. Not as the world gives, do I give it to you. Do not let your hearts be troubled or afraid.” Almighty God will use our evil to bring about His good as Goodness Himself. We also know with certitude, that more souls will be saved in this time, as a result of the certain cataclysm in our midst, than would have been saved as this culture of the “will to power” dialectic continued to simmer in its godless misery. I pray this helps. In caritas. Rushintuit-I’m not sure if your comment was meant for me. In any event, I was merely quoting the warnings of Our Lady of Fatima. Anyone who does not think we are living through this “diabolical disorientation” is living in blissful ignorance and can either by pitied or envied. My comment was not directed at anyone. 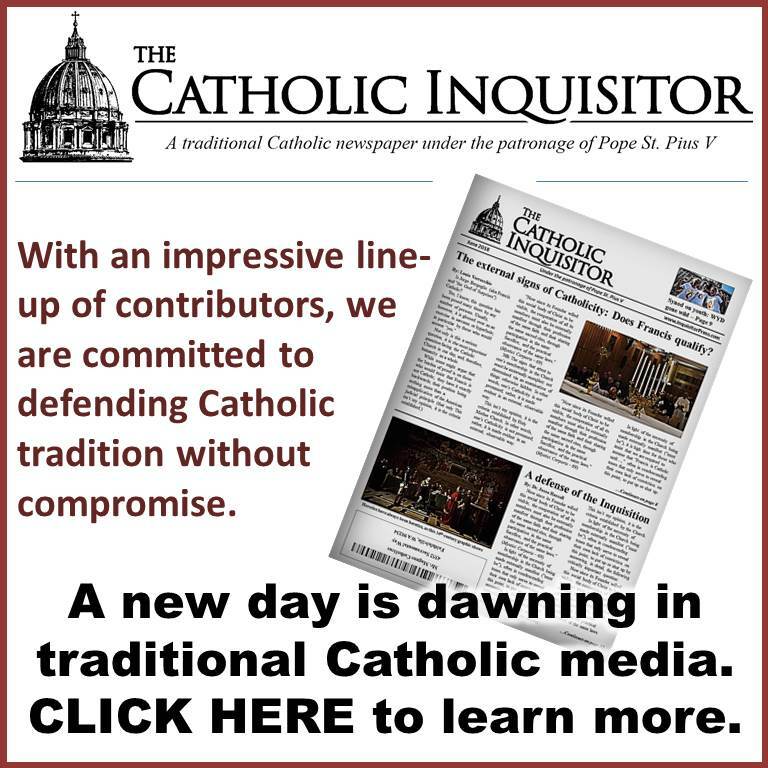 It seems like most of the commenting effort here concerns Sedevacantism. My two posts are meant as an FYI. I would guess that we agree on everything bad that is coming out of Modernist Rome. Rushintuit–Thanks. If “everything bad is coming out of Modernist Rome”, I’m staying away from anything to do with them including the fake “mass”. and morals are thrown overboard”. arrogance to its knees and folly does not have to be appeased. guarantees spiritual growth, which wells up into eternal life. before His Divine Mercy in humility as we can never justify sin. possible” as only God can square the circle. be revealed in a way that that cannot be misunderstood by His people. powerful it has nothing to do with humility. and not His Word (Will) at the same time. must be venerated and no other. reason I believe her vision was genuine and received in total trust. violated her trust in God. man’s own image, it has nothing to do with Trust. the Church emanating from Rome. time healing so many past and on-going injustices. the bishops throughout the whole Church (World). the Sacrament of Reconciliation the means to do so. laity in regards to the indissolubility of marriage. encourage all to confront that which enslaves mankind, our own sinfulness. direction at the crossroads (Difficulties) of life. Kevin, Sr Faustina’s message was suppressed for decades by Rome. It took a modernist heretic like JP2 to “approve” the apparition. You would be better off not reading anything written by Rome after V2. Just reading your post it becomes obvious how you have been corrupted by modernism. Start with a real Pope, Pope St Pius X, and read Pascendi.